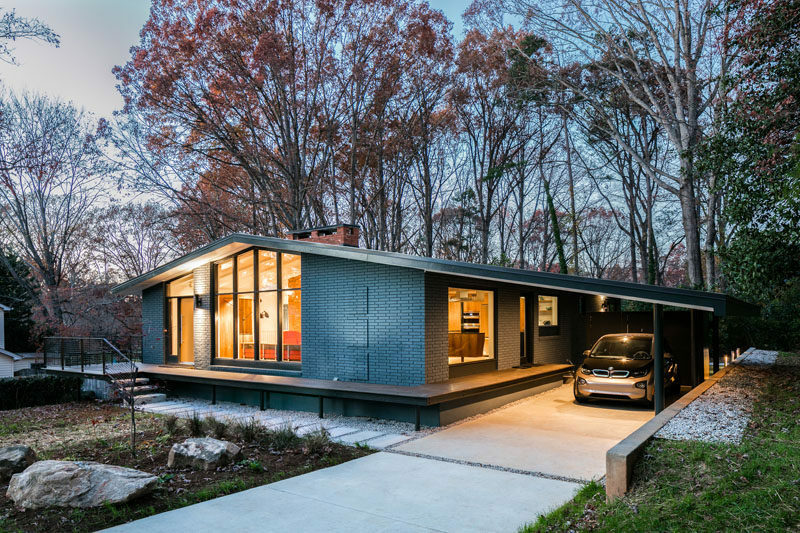 Architecture firm in situ studio have updated a well-loved, 1960’s, low-sloped ranch house in Raleigh, North Carolina, and turned it into a bright and welcoming family home. 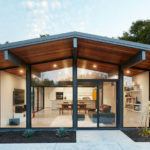 The original mid-century house had fallen into disarray, with various parts of the house having been reconfigured in a random way, and a very poorly built sunroom had been added to the right side of the house. 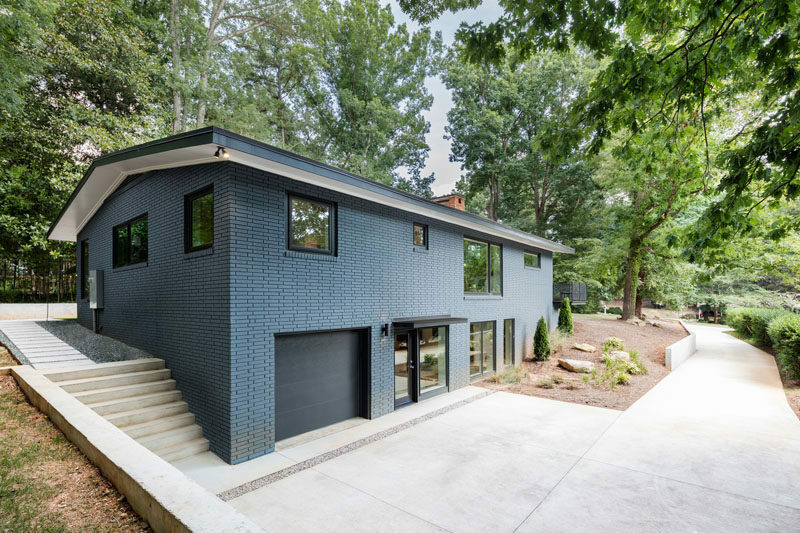 The designers removed the sunroom and created a new carport, and updated the brown brick with a bold blue paint. A wrap-around porch also connected the carport to the front door. Before photography by Joseph Amory, After photography © Keith Issacs. 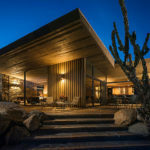 The interior of the home also needed to be updated. Gold colored carpets, yellow walls and floral window coverings were removed and replace with a bright white interior and wood flooring. 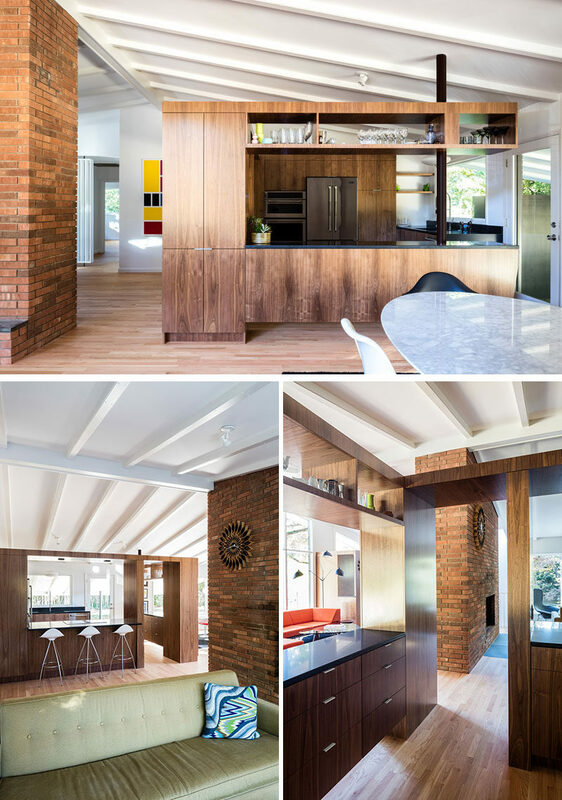 The white walls and ceiling help to make the interior feel larger and brighter, as well as creating a continuous color palette throughout the home. 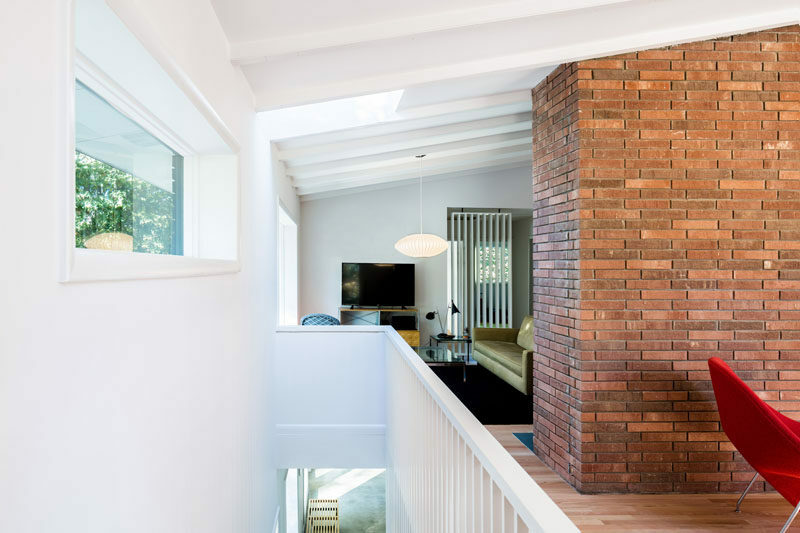 The walls around the brick fireplace were also removed to create an open interior. Next to the main living room is the kitchen. Wood cabinets define the kitchen and create plenty of storage. In the master bedroom, the white walls continue, while a frosted wall hides a bathroom. 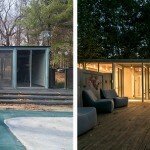 Sliding glass doors open out onto a private green space behind the carport. Back out in the main living area, there’s a set of stairs that lead down to the full basement. The wood stairs add a natural touch to white interior, while slats allow light from the window to travel through the space. Here’s a look at the rear of the house that shows the full basement with garage. The stairs on the left lead up and around to the grassy patch behind the carport.